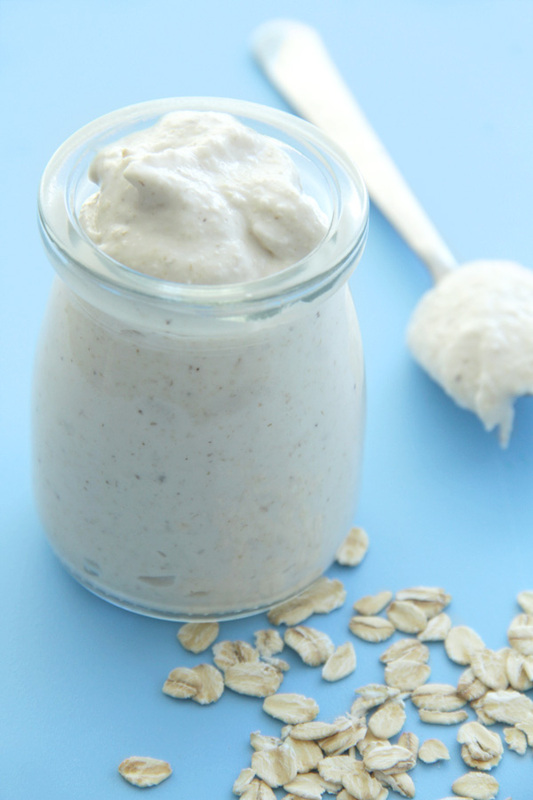 Yes, you can absolutely make your own non-dairy yogurt at home! And you should try it! 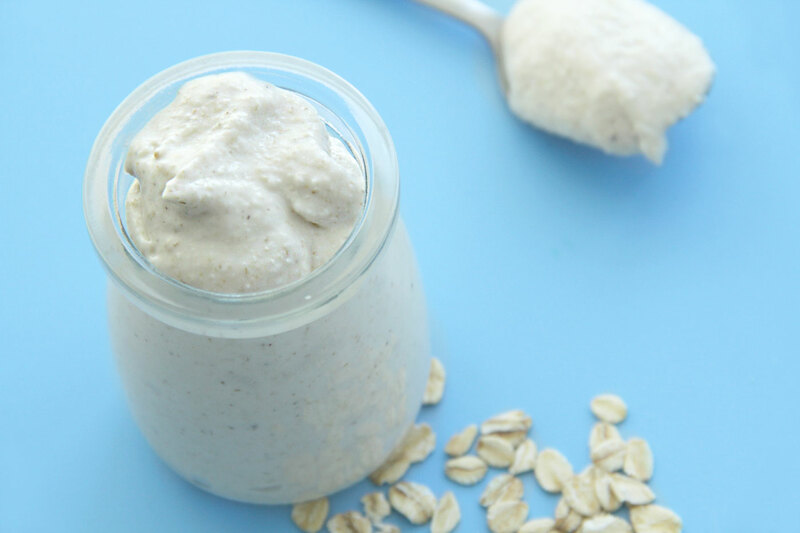 For this vegan yogurt we are using oats and young coconut, blended together with good probiotics to create a rich and creamy treat, similar to Greek yogurt. It’s pretty simple, cost-effective and has many health benefits. Delicious on its own, or topped with this Grain-free choco’nutz granola. Cultured foods (yogurt, kefir, sauerkraut, kombucha, etc) are chock-full of probiotics or good bacteria. A countless amount of research has demonstrated how the ideal balance of good and bad bacteria in your gut forms the foundation for physical, mental, and emotional well-being. The beneficial bacteria in these foods are highly potent detoxifiers, capable of drawing out a wide range of toxins and heavy metals. On top of that some cultured foods are outstanding sources of essential nutrients such as vitamin K2 and also a potent producer of many B vitamins. Young coconuts are one of the greatest health treats on the planet! The water contained in young coconuts is nature’s filtered water, and the meat contains essential fatty acids that fight Candida, bacteria, and aid greatly in enhancing overall health. Drain the oats from their soaking water and rinse them thoroughly under cool running water. 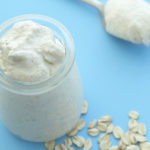 Place clean oats, coconut water, young coconut meat, probiotics (break the capsule and use only the powder inside) and salt into a high-speed blender. Blend until it reaches smooth yogurt-like consistency. a warm day and 4 to 6 hours on a cool day. This will allow the probiotics to start to proliferate and break down the yogurt. granola, in smoothies or salad dressings or it eat plain. Eat from 1/2 to 1 cups each day. Keep about 2 tablespoons of the mixture back (“starter) to add to the next batch, which will produce a more active culture – and in a shorter amount of time. You will not need to use probiotic powder if you are using a small amount from the previous batch. Always use wooden spoon or spatula (no metal please). How come you didn’t have to heat this up? It seems like every recipe I’ve seen about yogurt requires it to be heated to 180 degrees F in order to kill any “bad” bacteria. we suggest to use high quality probiotics to make our vegan yogurt. There are numerous health benefits from eating live cultures and enzymes that have only been gently heated or left raw. And often cooking and freezing kills some of the good-for-you bacteria in probiotic foods. This is our personal preference as we believe that we get more of the health benefits from eating foods that are raw and at it’s natural state.